"observation of the death or injury at the scene of the accident," is satisfied with proof of knowledge or awareness of death or injury, but without any contemporaneous sensory perception. b. 1947 B.S. Pharmacy, Northeastern University College of Pharmacy, J.D., Suffolk University School of Law, 1969. Admitted to the Massachusetts Bar and U.S. District Court for the District of Massachusetts, 1972. Admitted to the New Jersey Bar and U.S. District Court for the District of New Jersey, 1973. Admitted to the U.S. Supreme Court, 1978. Certified Workers’ Compensation Attorney by the Supreme Court of the State of New Jersey since 1998. A Member of the Firm since 1973. Mr. Sukoneck is a Senior Member of the firm and heads the Workers’ Compensation litigation group. His practice specializes in the defense of Workers’ Compensation claims throughout the State of New Jersey, involving law and medical issues as varied as cardiac claims, asbestos exposure, chemical inhalation, occupational disease and traumatic injury claims. Mr. Sukoneck has been a guest lecturer at Upsala College and Robert Wood Johnson Hospital, a Moot Court Judge at Seton Hall University School of Law and a faculty member of the National Business Institute, Advanced Workers’ Compensation in New Jersey. He has participated in a number of workers’ compensation continuing education programs for a variety of clients. Mr. Sukoneck is a member of the New Jersey State Bar Association, the American Bar Association, American Trial Lawyers Association, New Jersey Workers’ Compensation Association, New Jersey Defense Association and the American Society of Pharmacy Law. Mr. Sukoneck is also a founding member, and Master, of the New Jersey Workers’ Compensation Inn of Court. 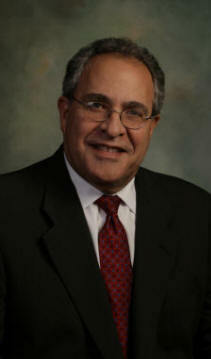 Mr. Sukoneck has been recognized as a New Jersey Super Lawyer every year since 2005.